A fire that gutted a container warehouse on the Bluff, has been burning for more than 48 hours now. 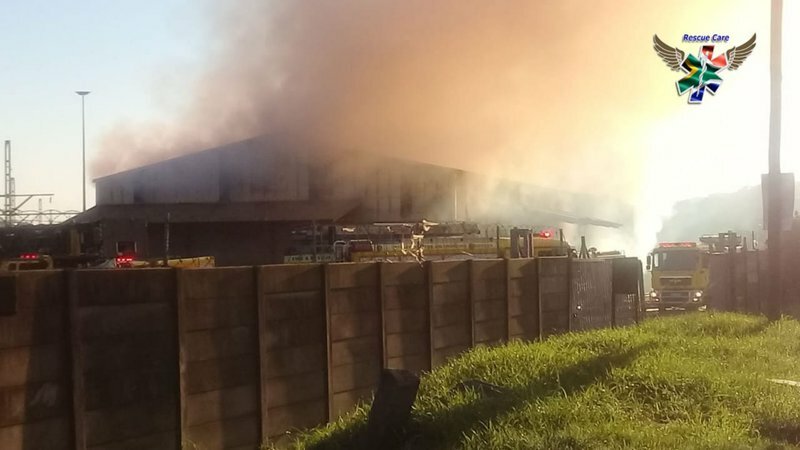 Durban fire fighters say it's going to take them a little longer to completely douse the flames - they have managed to contain the blaze. "In order to extinguish the entire warehouse fire - we need to have extra moving equipment to take out the lucerne of the building, to douse with water and knock out the flame," he said. eThekwini fire's Mervin Govender says the inferno re-ignited on Saturday night. While it's cause is still unknown, Govender says that lucerne is among the items fuelling the flames. He says they'll remain on high alert this week. "At the moment, the fire is confined. The reason why it's flaring up is that the product is compact. A large volume of lucerne is being stored in the warehouse, stacked in heights," he said.